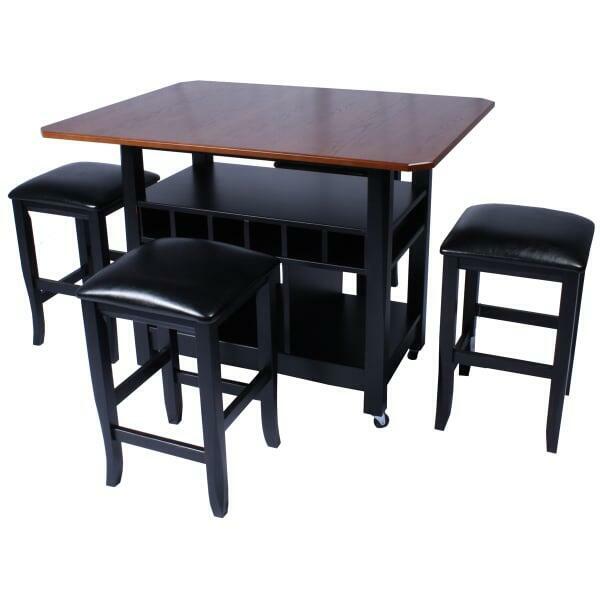 This beautiful two toned pub table set features a square wood top table with multi-level storage below. 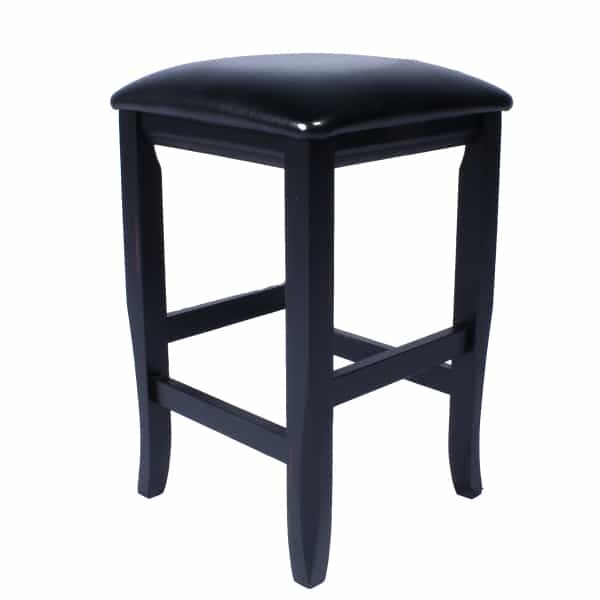 The backless 24" wood bar stools (counter height) are finished in black with padded seats. 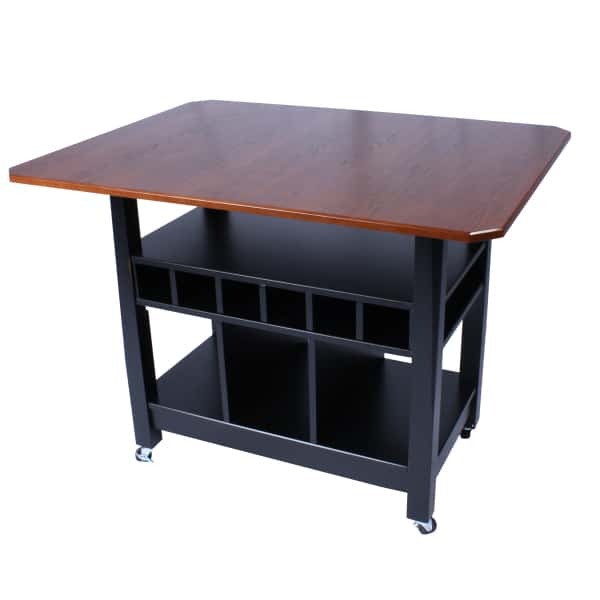 With casters and storage this table is very versatile and could be used in virtually any setting. 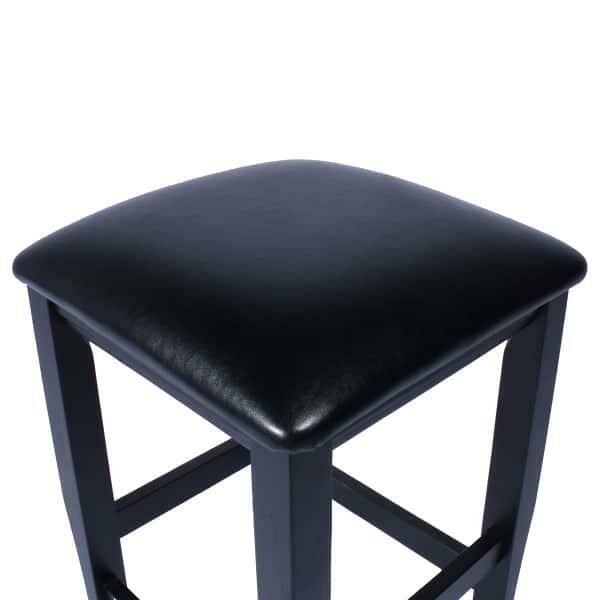 We offer free shipping on all orders over $40 in the contiguous United States. Orders under $40 will incur a flat $5.99 Shipping Fee. American Heritage Pub Tables ship via UPS / Fed Ex. Most delivery times within the Continental U.S range from 2-5 days depending on location.